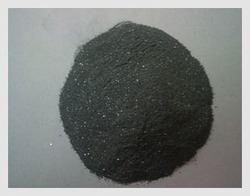 We are engaged in providing Antimony Metal Powder. The Antimony Metal Powder is widely used in production of X-Ray Apparels. The offered Antimony Metal Powder is widely used as a coloring agent for glasses, enamels and glazes in making selenium salts. We have state of the art manufacturing facilities that are well equipped with modern machinery. In 25 Kgs Drums or in Bulk Bags. Looking for Antimony Metal Powder ?